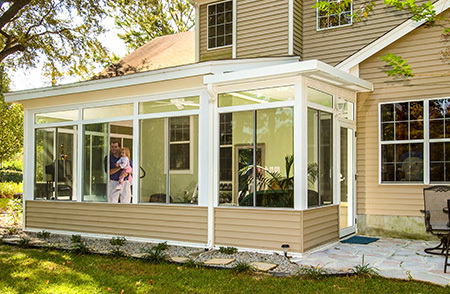 SRA Home Products is proud to offer state-of-the-art sunrooms to homeowners throughout the Toms River, New Jersey, area and beyond. Our sunrooms are manufactured by TEMO, a leader in the outdoor living industry for more than 40 years, and are constructed using heavy-duty, fully extruded aluminum that resists deterioration, insect infestation, and rotting. They also feature a durable TEMKOR polymer coating that protects against damage and requires almost no annual maintenance. Angled walls — If you’re looking for something different than the standard rectangular design, you can choose to incorporate angled walls. Extended height — If you need additional height in your new sunroom, we can install walls that extend over 12 feet tall. Or if you’d prefer that your sunroom include multiple levels, we can design one featuring two stories. Customized windows — If the windows in your new sunroom need to be a certain size, we can install walls with window openings cut to fit those exact dimensions. We may also be able to install customized transoms. Our sunrooms can be further customized by adding skylights or overhead ceiling fans, or in a variety of other ways. 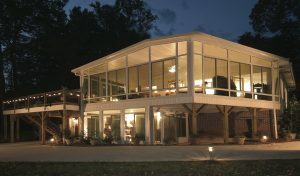 If you’re interested in learning more about SRA Home Products’ customizable sunrooms, please call us today. 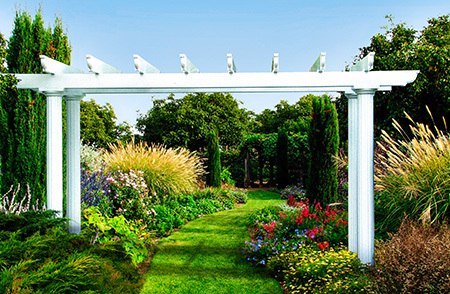 Our skilled staff can answer your questions and assist you with designing a structure ideal for your Toms River, NJ, backyard.